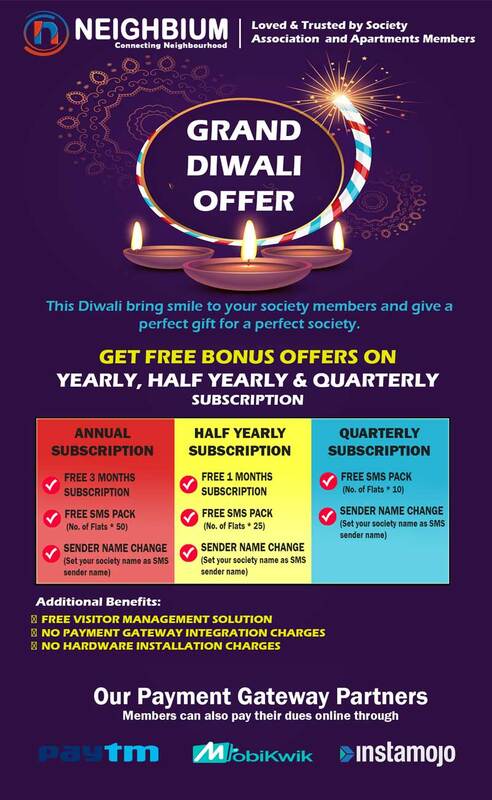 Give your Society Members a Perfect Gift this Diwali. Go Digital and streamline the operations in a more efficient way. Can't wait? See the feature demo now! Join the most awaited App to stay connected with your Society association for every news, events and service. Below is the small video to see Neighbium Features! To view all features in action. Click here !